Once again it’s time for another new product announcement. As always, we’d like to start off by thanking you for your support. No, it’s not a French nail varnish. It’s Harrith Lim’s GoldFinger 2 Auric Edition! There’s no odd job with these golden coated, highly limited editions of Harith Lim’s signature barrel. It comes with an autographed DARTSLIVE card! Do we expect you to play? No, we expect you to win. 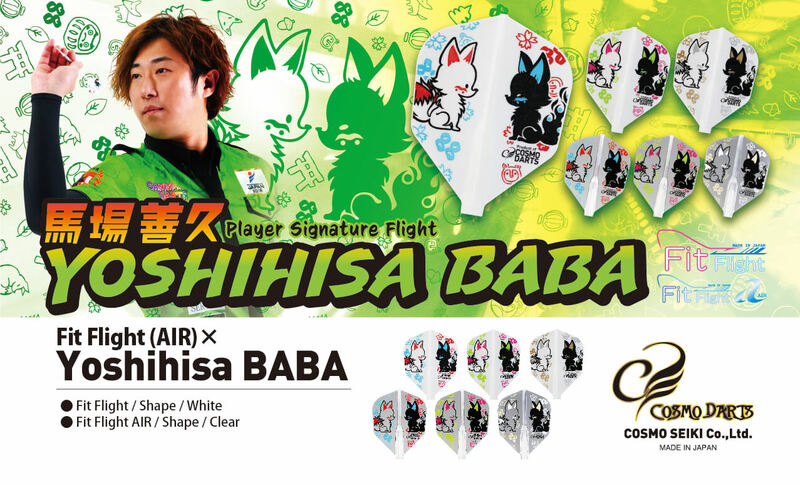 Meow, we’d like toot present you woof Yoshihisa Baba’s collaboration flight. Distinguished by a cute and vibrant colored fox, these flights will be available in Fit Flight and Fit Flight AIR Shape. 2-4-6-8 Who do we appreciate? You! You! You~! 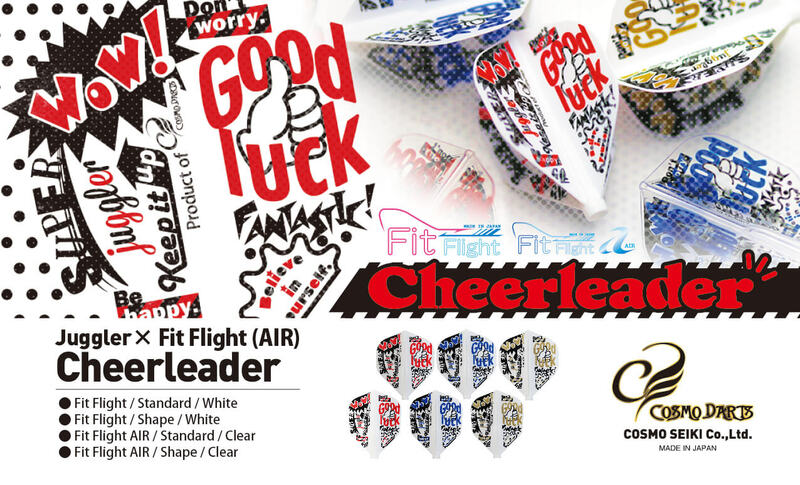 Keep your confidence up with these new Juggler Cheerleader flights. These are limited in number so get them while you can! Available in Fit Flight/ Fit Flight AIR Standard and Shape. These will be available on January 29th, 2019.